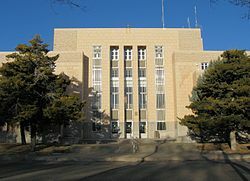 Tucumcari is a city in the U.S. state of New Mexico. It was founded in 1901 and is the county seat of Quay County. Wikimedia Commons has media related to Tucumcari. This page was last changed on 19 June 2018, at 02:32.